There’s no doubt that vaping has caught on as a trend over the last couple of years. Today, you’ll find more and more people giving it a try, which also means the options for consumers are expanding in terms of vaping accessories. When you first set up your vaping kit, there are a number of starter pieces you’ll need. One of the most important pieces you’ll pick out is the vaping tank, which is often confused with the atomizer. The atomizer is, in fact, housed within this vape tank and that is where you will find the wick, a heating coil, and the reservoir where the e-juice is held. The way it works is that the wick soaks up the e-juice and then when you turn the device on, the coil will heat up the wick and create a vapor that you can inhale. Even though it sounds like a relatively straight-forward process, the tank that you choose will affect the type of “cloud” or vapor you get, the flavor, and the overall experience. You’ll need to think about such things as your skill level (are you new to vaping or is this your second, third, or possibly fourth tank? ), what kind of flavors you enjoy most, and much more. In order to help you wade through the various vape tanks and find the best one for your needs and vaping style, here’s a simple guide that covers all the basics. What Does the Vape Tank Do? The vape tank is essentially the heart of the vaping device. As discussed, it is where the e-juice is housed and its components are what heat up that e-juice and create the vapor you will inhale. If the vaping tank isn’t working properly, then you won’t be able to get the full experience of vaping. In general, it is usually recommended that beginners stick with a simple tank setup so they don't have to mess around and fiddle with anything. As you become more experienced, then you can look to upgrade your tank and be a bit more specific about your needs. Are You New to Vaping? One of the biggest factors in the decision-making process should be how experienced you are when it comes to vaping. Cartomizers tend to be the most basic type of tank that you can get. These tend to work well for beginners. Instead of the tank consisting of three parts it only has two, so you are basically simplifying the entire system. This particular tank also tends to work well for those who are transitioning from traditional cigarettes to vaping as they have the same design, shape, and size of a cigarette. Even if you aren't transitioning from a traditional cigarette, this tank tends to feel very natural since it is that familiar cylindrical shape. Besides being easy to use, they are also relatively inexpensive, which is usually a big bonus for newbies. 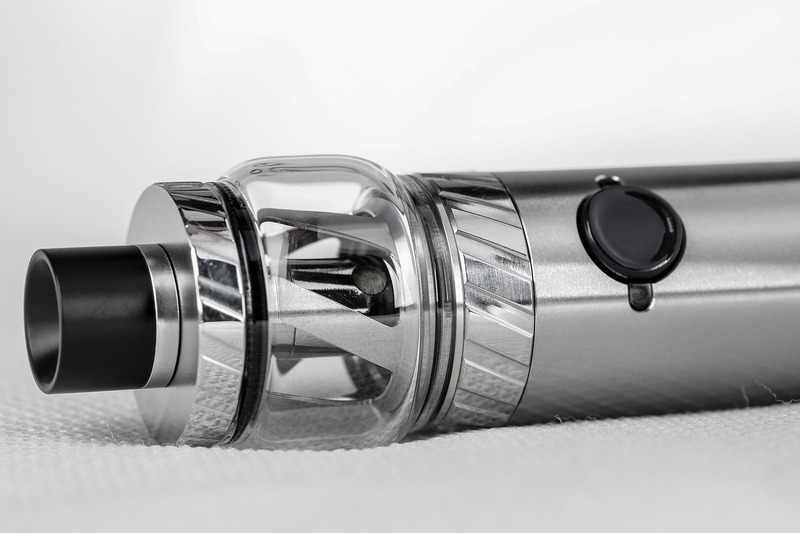 At the same time, there are some negatives with this tank such as the fact you can't change out the coils, they don't offer as much power, they aren't very cost-effective since they are disposable, and they can be tricky to refill. Ready for That Next Step Up? Even if you’re still relatively new to vaping, you may still be after something a bit more advanced than the cartomizer tanks. If that's the case then the clearomizers could be the right way to go. These are often described as the "next-gen cartomizer" because they take what was good about cartomizers and then build upon it. While they look similar, as they are also cylindrical in shape and have a wick and coil with a long tube, they do perform differently. You'll get better power with the clearomizer, its reservoir is clear so you always know how much e-juice you have, they are cheap to buy, the coils can be replaced, and they are easy to use. On the flip side, they can only hold two mg of juice at one time, they won't work with mods, and they still can't stand up to the power offered through an atomizer. If you've been vaping for any length of time or have done any kind of research, then you are probably familiar with the true vape tanks and then the sub-ohm tanks. Basically, a vape tank is like taking the clearomizer and just giving it more of everything. It allows you to replace the coils, refilling the liquid is easy, you can adjust the airflow, it's got a much larger capacity, it's easy to use, and it offers much more power. The one main drawback of the vape tank is, of course, the price. You will definitely pay more for it than a clearomizer, but at the same time, it’s not over-the-top expensive. Now if you want to get the absolute best, most advanced vaping experience then the sub-ohm tanks are typically the way to go. They offer much of the same features as a standard tank, but where they differ is in the power they can offer. Because you can produce much larger clouds, adjust the airflow, and the temperature, you are able to really experience the flavors to their fullest intention. Of course, the biggest drawback with the sub-ohm tanks is the price tag. This one is going to be the most expensive option, which is why it’s more popular with those who have experience. It can be the tank you work your way up to. It doesn’t matter if you are brand new to vaping and looking to put a starter kit together, or you’ve been vaping for years and you just feel like you’re not getting the full experience. The tank/atomizer that you choose has a huge impact on the experience, which means it’s a good idea to do your research and pick the one that best meets your needs, skill level, and budget.